Brian and Tom, together for ten years, would like to have a child, to be, as Tom says, ‘a proper family with two dads‘. When their friend, Jane, agrees to act as a surrogate, it seems they can really have it all. But after Tom is very reluctantly pressed into finding out about his biological parents, what he discovers will turn their dream of a family into their worst nightmare, threatening to destroy everything they have. 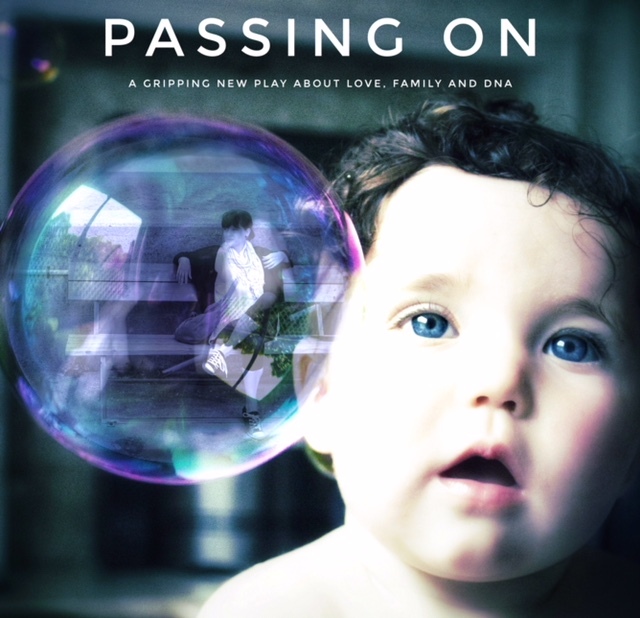 ‘Passing On’, is a gripping new play by Sean Denyer, and is being producing by Acting Out and Blue Heart Theatre. Acting Out, Dublin’s LGBT theatre group, recently won the 2017 National GALA Award for Irish Arts and Literature for their previous shows, The Ref and The Paradise. Featuring a talented cast of Irish actors, this gripping and thought-provoking play will stimulate a lot of debate for audiences about genetics, ethics, surrogacy, and the impact of nature and nurture. It places this in the context of a powerful and insightful examination of a close and loving relationship, tested to the limit by discoveries from the past.